Shraddha Kapoor, who will be next seen playing the lead role in Apoorva Lakhia’s upcoming film ‘Haseena Parkar’, which is based on the life of dreaded don Dawood Ibrahim’s sister Haseena, will be seen playing a loving mother to four kids and Apoorva revealed an interesting trivia about how the young actress prepped for the scenes with her reel kids. He further added, “I ensured that they (the kids) arrived two-three hours before shooting commenced and hung out together with Shraddha and Ankur Bhatia, playing and talking to each other. 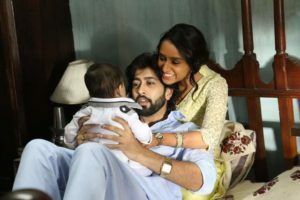 We also instructed the real parents to not be around during the shoot.” A source attached to the unit also said that Shraddha’s closeness with her aunt Tejaswi Kolhapure’s daughter Vedika too made it easier for her to play a mother on-screen. Directed by Apoorva Lakhia, ‘Haseena Parkar’, is being presented by Swiss Entertainment and has been produced by Nahid Khan. ‘Haseena Parkar’ is slated to release on August 18. 16 queries in 0.503 seconds.